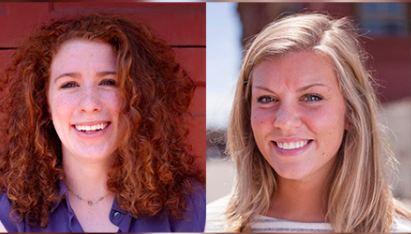 This past month, our creative team over at Locus Studios welcomed two new design interns! Up first is Grace, a recent graduate of the University of Colorado Boulder. She received her bachelor’s degree in communications as well as a minor in technology, art, and media. When Grace is not in the office, she is likely found outside. From rock climbing to running, she is a huge fan of the Colorado outdoors! Lauren, our other new intern, is a rising senior at the University of Colorado Boulder, where she studies communications and technology, arts, and media. Lauren is an adventurous person who loves exploring Colorado, doing hot yoga, and cooking! Please join us in welcoming these two talented women to our design team!